Vario Display System Pro 10. A unique multifunctional display panel system. Unit can either be wall mounted or used as a table stand. Bracket can be easily rotated from portrait to landscape. 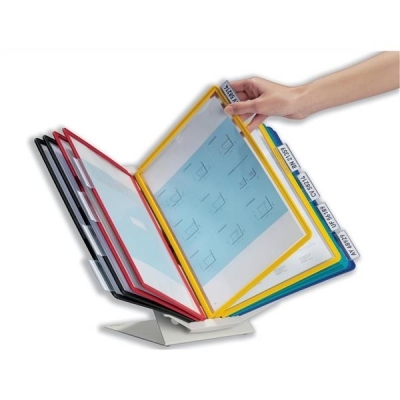 Supplied with 10 assorted A4 panels and tabs.